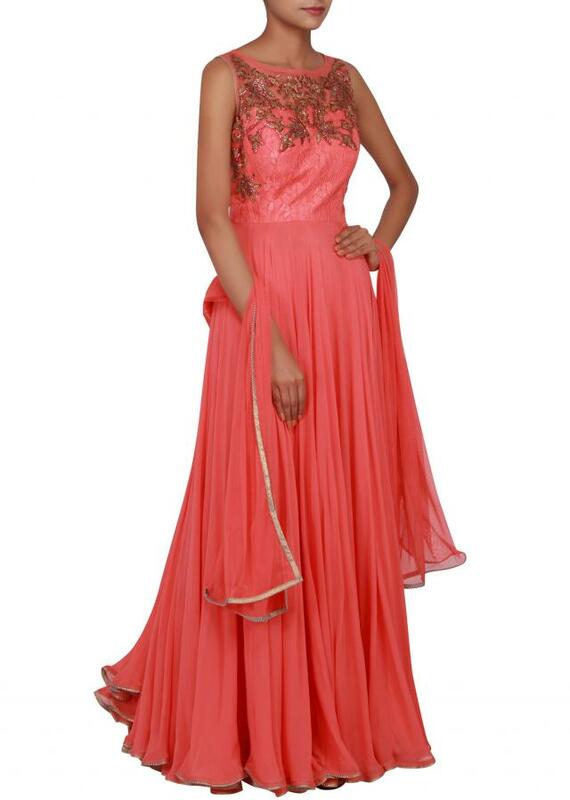 Featuring a peach anarkali in georgette embellished patch embroidery. 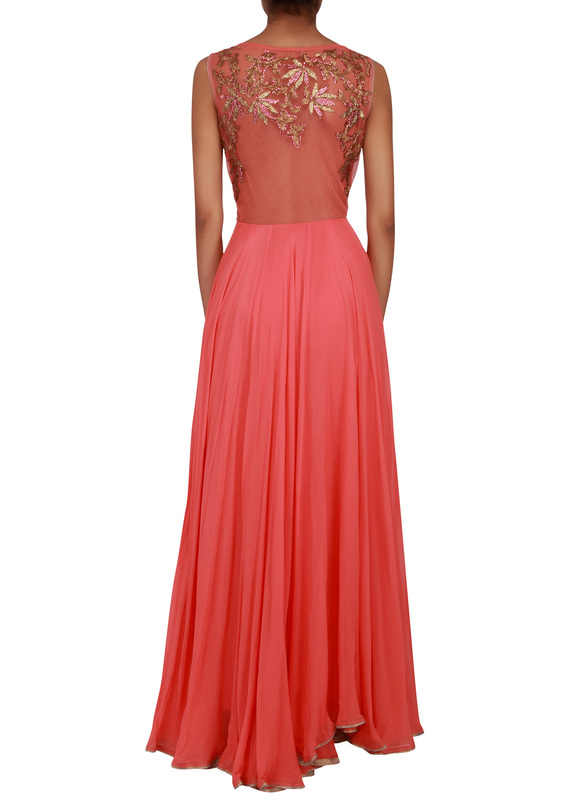 The bodice is in peach chantling net embellished in patch zari and stone embroidery. 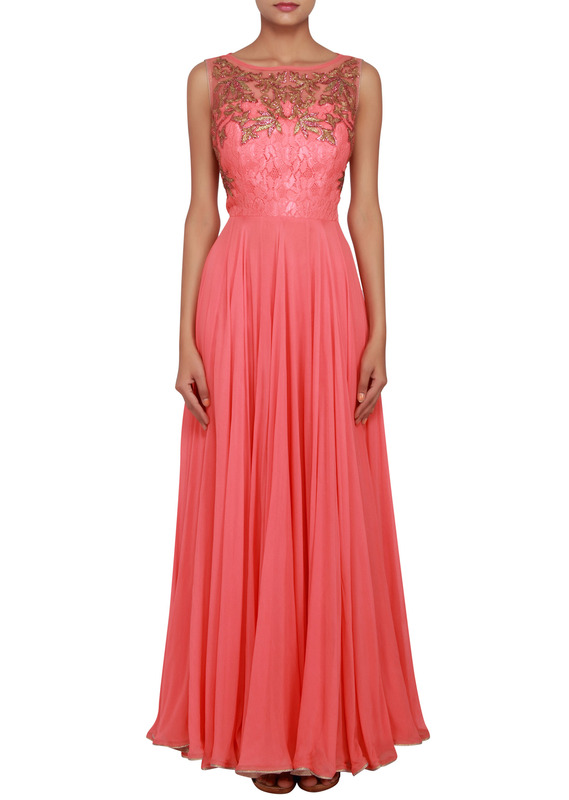 The kali is in georgette with scalloped hem and gold piping. The yoke and back is enhanced in peach net with zari and stone embellishment. It is sleeveless and has a boat neckline. 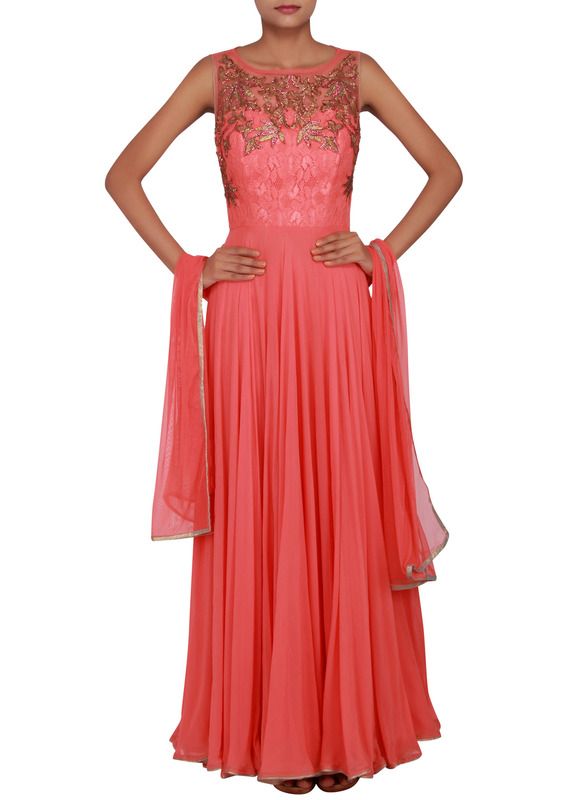 The churidaar is in peach lycra and the dupatta is in peach net with gold piping.